Sharon Marie Baker was born on December 3rd, 1998 in Arlington Texas to Mandi Clark/Hall and Jesse Baker. She was named after her father’s mother Sharon Michon Charbonnet. She is a Mezzo Soprano that has honed her craft through school choirs, and private vocal instruction from Christen Glennon, Racheal Sherk and her beloved Aunt, Anna Charbonnet. Her father has consistently fed her relentless obsession with singing by setting up a home recording studio, exposing her to a wide variety of musical genres and cultivating a life style centered around writing, recording and performing music. ” Singing is my life. It means everything. 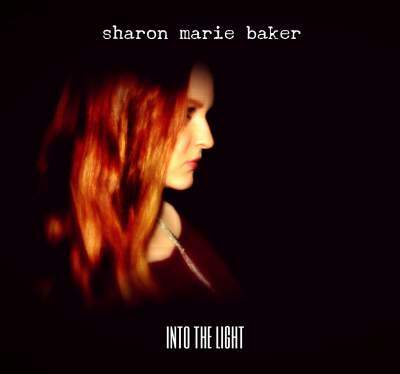 Sharon Marie is an Alternative Pop/Rock Vocal Artist releasing her debut EP “Into the Light” on August 14th, 2015. She collaborated on the project with her father who engineered and produced the EP. One of her new songs, “Broken Side of Me” delves into feelings of introversion and dealing with the anxiety that comes with it. The final verse of the track offers hope and light at the end of the tunnel. The track “Save Me” is an ode to feelings of depression. It’s dramatic theme is dark and her vocals seer with raw emotion that can’t be expressed any other way. It’s as if she is casting an anchor hoping to ease someones burden or at least be there to hug them and tell them it will be ok. The title track, “Into the Light” is a chill foray into the world of a suicidal friend. Set to a smooth back beat and artfully crafted synth lines when the chorus hits, it’s as if the angels themselves are welcoming this tortured soul to the pearly gates. The music video was filmed by Josh Dean of Austin Texas, the video will premiere on Aug. 14 coinciding with the release of the EP. “Singing is a way of escaping. Hayley Williams of Paramore might be her biggest musical influence. Sharon is drawn to her emotive style. The passion in Hayley’s voice inspired Sharon so much that she decided to make one of her first recording projects a collection of Paramore songs interpreted in a classical style of piano by Sam Yung. The EP entitled “Cold & Broken” features 5 Paramore songs. The tracks “Conspiracy” and”Hello Cold World” take on a whole new life. Sharon pushed herself to a new level and delivered some very impressive and dynamic vocals. Taking the power of Paramore and setting it to piano was a unique endear to say the least. At just 13 years old she could duplicate the dynamic vocals of Hayley so well that even Hayley herself would have been proud. It was an ambitious project to take on for such a young singer. It was during that time Sharon began coming into her own as an artist. She began developing a fondness for singing to piano tracks. She has recorded quite a few over the years, including a moving rendition of Sara Bareilles’ “Gravity”. Marveling at Sharon’s constant improvement and continued dedication to singing, over the next few years her father continued to improve their home studio in preparation for recording an album of original material. During this time Sharon continued to perform at various events and cultivate her songwriting skills. In the summer of 2014, the project gained some momentum and they would begin writing and recording the songs that eventually became the EP “Into the Light”. With the recent launch of her website, her upcoming release of new original music and the filming of her first music video, Sharon has her eye on the future. This emerging talent seems to be destined for something very special.